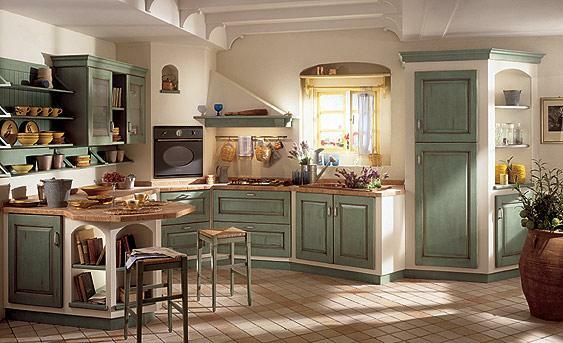 Anticato antique green. This traditional kitchen can be fitted with a system of masonry walls and work-tops that transforms the most characterless space into a complex combination of intriguing forms. Real architectural structures, which can be used to build the units' supporting structures, with plaster or rough finish varnished surfaces ("Provenza" system) or finished with rustic-look ceramic tiles ("Contea" system).